Advertising "Store-front" token. 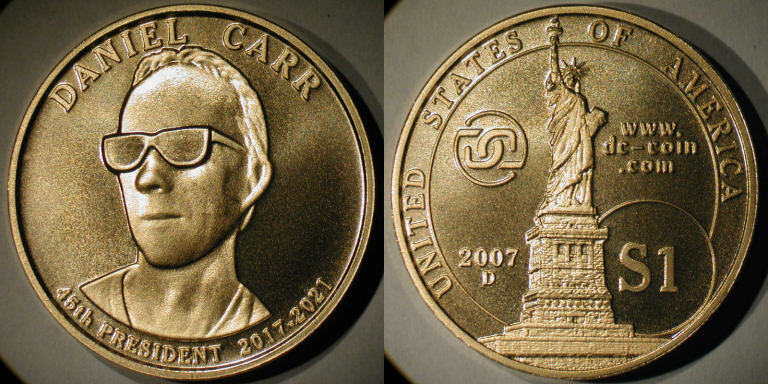 Obverse self-portrait by Daniel Carr. 45th President, 2017-2021. To comply with US regulations, the reverse is marked "S1" rather than "$1".